REVIEW - Albino Lullaby: Episode One - Use a Potion! It’s amazing what you are able to experience with a video game. Seriously, what other medium really allows you to experience the thrills that a video game offers? Whilst movies tell a story, video games allow you to effectively live out a tale, interacting with everything along the way. They’ve allowed us to be cowboys, to be isolated in space hunted by an alien or even to be crime lords; the possibilities are endless. Of course, those scenarios are common place, popularised by movies or novels over the years. What about the things video games let you experience that aren’t so common place? I never thought I’d experience being stuck in a bizarre, colourful world, pursued by something that looks like a twisted combination of a slug and a human thumb with a demented face. Yes, it may sound utterly strange, but that’s exactly what you experience in the world of Albino Lullaby: Episode One. Albino Lullaby: Episode One refers to itself as ‘a horror game that doesn’t rely on jump scares or gore’ – it instead tries to horrify you through a psychological medium. It’s effective to a degree. Let’s get one thing straight; you will never feel like you’re playing a traditional horror game. Sure, whilst being pursued by the Grandchildren (the previously mentioned slug/thumb hybrids) there is a sense of urgency to escape, but I never felt afraid or worried about them capturing me. Even the surroundings, whilst nightmarish, never really give of frightening vibes. 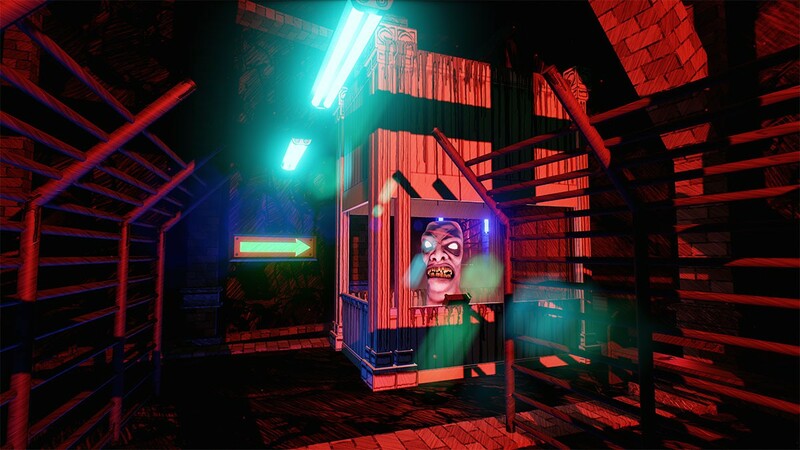 Instead, I found that the game was more similar to the inane cartoons that you might find on Nickelodeon or Cartoon Network; something that’s completely off the wall and bizarre, but never frightening. The game opens in a somewhat ambiguous way, with you seemingly involved in a car crash before waking up in some sort of prison cell in an unreal world. From there your aim is to escape the cell and try and find your way to freedom. I think. There isn’t really a straight-up narrative to follow, but instead the game expects you to work out what’s going on around you. Whilst this has worked previously in other games, I think I would’ve enjoyed the game a little more if I had a bit more of an idea what was going on. Whilst I’m sure this was intentional by the developer, the first third of the game left me just wandering room to room with no real idea of what was going on or what exactly I had to do. The story starts to pick up a bit from the second half of the game though, actually offering you an objective to complete. Whilst you won’t fully understand what is going on around you, things seem to get a little more purpose. I still didn’t really have a clue what was going on by the end mind. I’m hoping later episodes of the game will expand on the narrative a little. I have to give a shout out to the insane notes you find throughout the game though; all written by the Grandchildren, they offer you a bit of insight into their twisted, child-like minds. One note I found mentioned their competition on who could stay on the toilet the longest – totally insane. 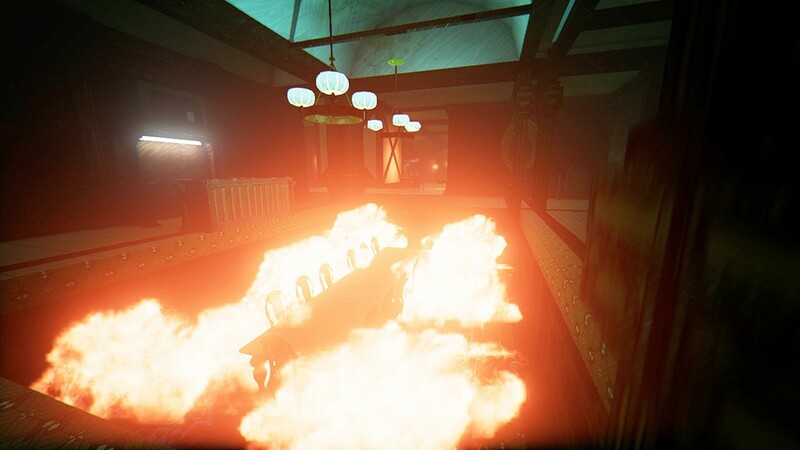 Albino Lullaby: Episode One takes place from a first person perspective and involves you moving from area to area, trying to escape. 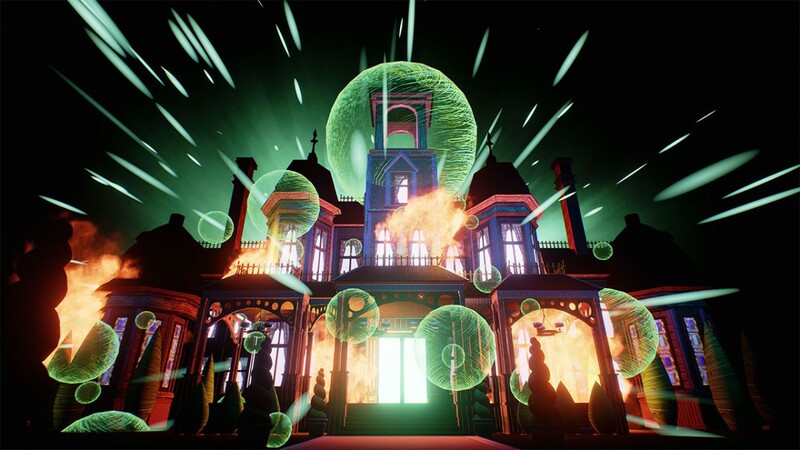 It shares quite a few similarities with the many horror-exploration titles available these days; you’ll be finding keys to unlock doors, finding notes that offer a little back story and finding yourself pursued by the Grandchildren. The pursuits just feel awkward; I found that I was never really fully able to shake them off and would often be stuck in a room, surrounded by Grandchildren that I had no chance of escaping from due to them blocking all avenues of escape. Of course, there are ways to combat these pursuits; later in the game you unlock a weapon that will subdue your foes, although they respawn fairly quickly. You also find matches that allow you to light blue lamps that the Grandchildren are afraid of, allowing you at least a small sense of solace. The problem is these methods aren’t enjoyable to perform and instead just feel clumsy. Alternatively, you can sneak past the Grandchildren – stealth plays a big role in the game and careful sneaking is often the best course of action. The Grandchildren leave a slime-like trail behind them as they move, allows you to carefully monitor their movement patterns and learn when to sneak past. You’ll be doing a lot of sneaking throughout the four to five hours you’ll spend with the game and fortunately it works well. It’s never really that challenging though with most of the enemies conveniently placed to easily be snuck past. Unfortunately, Albino Lullaby: Episode One suffers from a lack of direction. I was often left completely baffled by how to progress. Whilst areas were quite large with plenty to explore, there was never anything that really indicated where you needed to go. This was then met with a lot of deaths; exploration can be deadly, you know. Whilst some games intentionally don’t hold your hand, Albino Lullaby: Episode One does so in such a way that you’re often left a little clueless where to go. 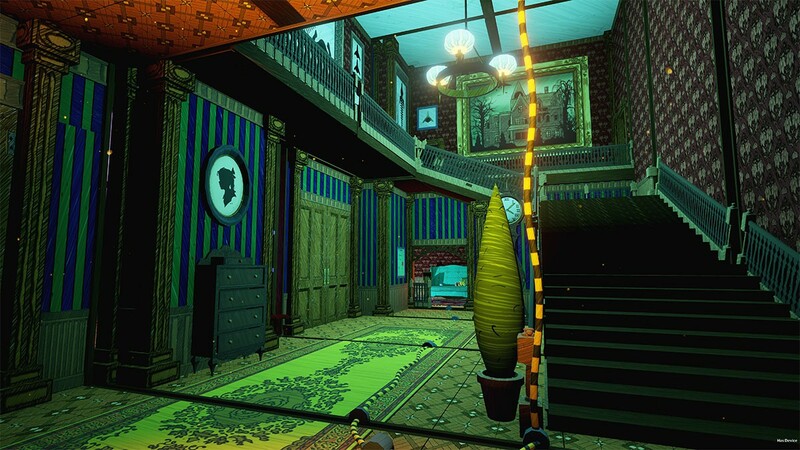 It’s a shame because the level design is solid; each hallway and room you explore is carefully constructed, offering plenty of hazards that require quick thinking and reactions to survive through. There are a few small puzzles along the way too, though they’re mostly a case of finding something instead of solving anything. One thing that I was extremely fond of in Albino Lullaby: Episode One was the graphical style. It boasts a hand-drawn cartoon style that looks like it’s been scribbled with felt pens – whilst that might not sound attractive, it’s incredibly effective within the peculiar world. 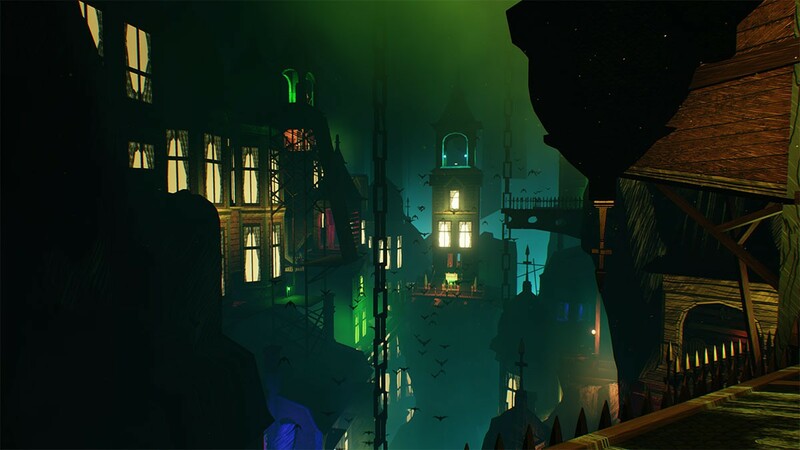 You’ll go through a variety of different environments throughout the game and they all manage to look fantastic, packed to the brim with tiny details and a ton of oddities; it’s insane, but you’ll have a great time exploring every nook and cranny. The models of the Grandchildren didn’t offer the same high quality as the environments. That’s not saying they were bad; despite their bizarre looks they just didn’t seem to be of the same quality, especially with the somewhat jerky movement animations. I also noticed a few instances of the models clipping with the environment. Whilst this doesn’t take anything away from the game it was clearly noticeable at times. The voice work in the game is top notch. Whoever did the voice acting for the Grandchildren did a great job, making their crazy murmurings sounding like they’re coming right from the mouth of a mad man – very fitting. Exploring the world of Albino Lullaby was a real treat; it’s bizarre, it’s twisted, it’s completely messed up but it’s full of atmosphere. Developers Apelaw went out to create something psychologically messed up and they succeeded. Sure, it doesn’t feel like a horror experience to me, but it still managed to weird me out atleast. Sadly, behind the great graphics, solid level design and fantastic voice acting is a game that has gameplay mechanics that simply aren’t enjoyable. Whilst not unbearable, the enemy pursuits are frustrating rather than rewarding and a lot of the game just has you pondering what to actually do next. There are no real brain-scratching puzzles to offer you a challenge either; the lack of variety in the game becomes blatantly obvious as you reach its conclusion. Albino Lullaby isn’t horrible, but it isn’t that good either. There’s a further two episodes due to arrive next year so hopefully Apelaw can improve upon things a lot more by then; without a big improvement on the actual gameplay, it’ll be hard to recommend venturing into this beautiful yet bizarre world.